Make our Explorer fleece jacket a staple of your wardrobe. 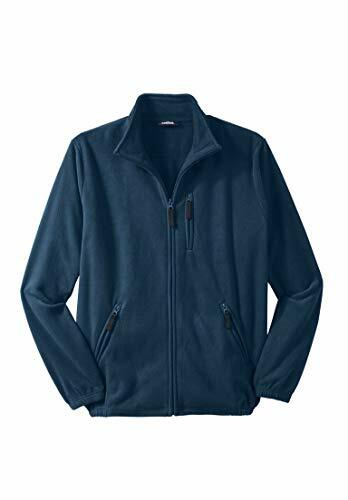 Its soft-yet-rugged fleece performs perfectly for all-season comfort, and the fit is like nothing else: comfortable, generous, and designed exclusively for the big & tall guy. Comfortable, relaxed fit Stand up collar Long sleeves with elastic cuffs Full zip front Elastic waist Polyester Machine wash; imported Big length abt. 32"Tall length abt. 34" *NOTE: Ink Blue Snowflake and Red Apple Snowflake prints may not align perfectly across the chest. Our Expert Opinion Light, warm, and comfortable plush fleece jacket coordinates perfectly with our fleece pants, jeans and items you already have.